There has been so much fuss over the new Oxygen series Preachers of L.A.. The shows detractors have been fueled by the palatial estates, flashy cars, and fancy suits. They claim that the show only reinforces the negative stereotypes that beset preachers of larger churches. And no reality show is complete without off camera scandal. By and large, I agree with the negative coverage. I just see a silver lining in it all. The growth of megachurches across the country has had a polarizing effect in the Christian community. Some are fans of the churches and the amount of power they wield. They are massive beacons that can draw people in with that appeal. On the other hand, many question if the church members are getting a valuable experience in that a ministerial staff can only intimately service so many people. Many also question those that lead these churches and live extravagant lives. Preachers of L.A. (cast includes Bishop Ron Gibson of Life Church of God in Christ, Pastor Wayne Chaney of Antioch Church of Long Beach, Pastor Jay Haizlip of The Sanctuary of Huntington Beach, Bishop Noel Jones of City of Refuge Church, Gospel recording artist Minister Deitrick Haddon, Bishop Clarence McClendon of Full Harvest International Church, and their wives/significant others) puts all of these issues front and center. That’s not to say that there are plenty of positive aspects of the show. Primarily, the show is a great means for showing pastors doing their good work. Cameras are able the capture ministers praying for others, giving back to their communities, bringing new members into their churches, and ministering to those in need. Heavy issues such as gang affiliation and drug use are also tackled. All of this is presented in a way that is not “preachy” (pun intended). On the other side, no reality show is put on air without doses of drama and negativity. The show has caught the ire of religious heavyweights like T.D. Jakes who condemn elite lifestyles of some of the cast. And there is the question of how exploitative it is to create a show like this as a form of entertainment. Most importantly, anytime you televise the personal lives of those that work in ministry, you open a can of judgmental worms. We get to see the dirty laundry and the skeletons in the closet of those that we are meant to hold in the highest regard. One pastor defends “shacking” and has a child out-of-wedlock. Another pastor has a female “friend” of 16 years and will not claim that they are dating or even in a romantic relationship despite how they appear on-screen. These actions don’t put the church in a positive light. We live in a time where reality TV serves as a catalyst for how individuals live their lives. The advent of The Real World let us be able to watch people living their lives as entertainment, and therefore, criticize an entire person based on a 30-minute edit. As a result, those with a higher calling must rise to that challenge and take it seriously. Such high-profile preachers should be hyper-vigilant to portray themselves in a manner builds the body of Christ. Anything else gives more ammo to detractors. In the end, Preachers of L.A. shows that we are all imperfect beings at our cores. Even those that have been called to lead others disagree on what is correct, make mistakes, and commit sins. And this has opened the door for in-depth conversations about a whole host of issues related to the church. Just what does a Godly relationship look like? How should a pastor lead his or her church? Is religion too often too serious? Every week, viewers’ expectations and beliefs of what a pastor or pastor’s wife looks like is being broken and remolded. In this way, this little show about mega-pastors is groundbreaking. If nothing else, this show reminds us all that preachers and their families are human beings just like everyone else. No better and no worse; just with a job title that comes loaded with its own unique expectations. 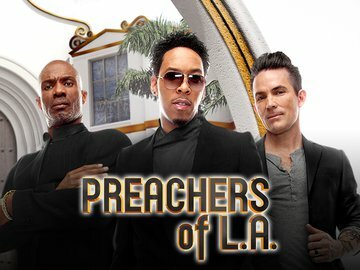 Preachers of L.A. airs Wednesdays at 10PM on Oxygen. 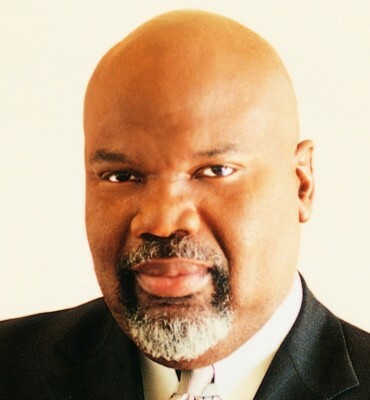 Do you think Preachers of L.A. is a good representation of the Christian faith? Sound off in the comments section below!